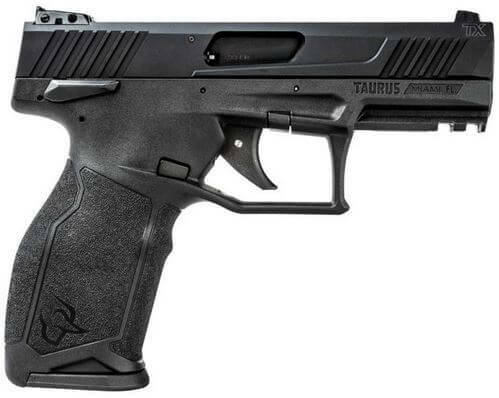 The Taurus G2C is something of a phenomenon. Sales are greater than expected, which surprises a few people. Taurus is not the company it was, even 10 years ago. It used to be that if you bought a Taurus (especially a semi-auto), some fellow shooter might hand you a quarter and say “flip it – there’s the same chance of it coming up heads as of you getting a good pistol”, or words to that effect. Does Taurus still have its share of returns to customer service? Sure. What firearm manufacturer doesn’t? The thing is, the number of returns have shrunk some. Under new management, Taurus is really trying to clean up its act where quality control is concerned. I am not a Taurus fanboy, nor do I work for them – I’ve had my share of returns to Miami (even one there now as of this date). I want to offer the notion that the company is trying to do a better job. They certainly are into innovation where firearm development is concerned. Some samples might be the Curve .380, the Spectrum .380 (I own one), and the snub-nose .38 Special the View with its clear side panel. 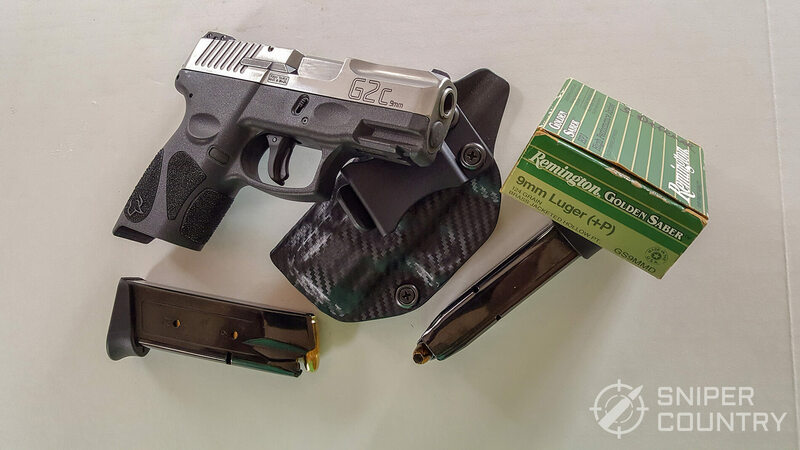 Perhaps none of these have created such an impact on the shooting world as Taurus’s latest product (as of this writing), the TX22 semiauto .22 LR pistol. This gun, to glance at it quickly, could be mistaken for a 9mm compact but is in fact a full-size .22. The magazine holds 16 rounds and the gun has all the earmarks of a carry weapon. That’s not by accident – Taurus is positioning this gun in the marketplace as a training gun, a .22 that behaves like your centerfire model. It is quite innovative, from that standpoint. The reason I mention these is to show that Taurus is evidently trying to think out of the box and to regain what it lost over the years of indifferent quality control and customer service. The G2C is a great example of that. Taurus introduced the Millenium series of pistols in 2005. Some of the models of guns in this series include the PT-111, PT-132, PT-140 and PT-145, all in both Standard and Pro formats. These guns were striker-fired, short-recoil operated and were designed to be fired double-action only or single/double action. They were brought out to compete in the concealed carry market and for law enforcement backup purposes. In 2013, the G2 guns were unveiled. These were in caliber 9mm and .40 S&W. Before there was the G2C, there was the PT-111 Millenium Pro. I owned two of these. They were great pistols, but the G2C is a definite improvement. 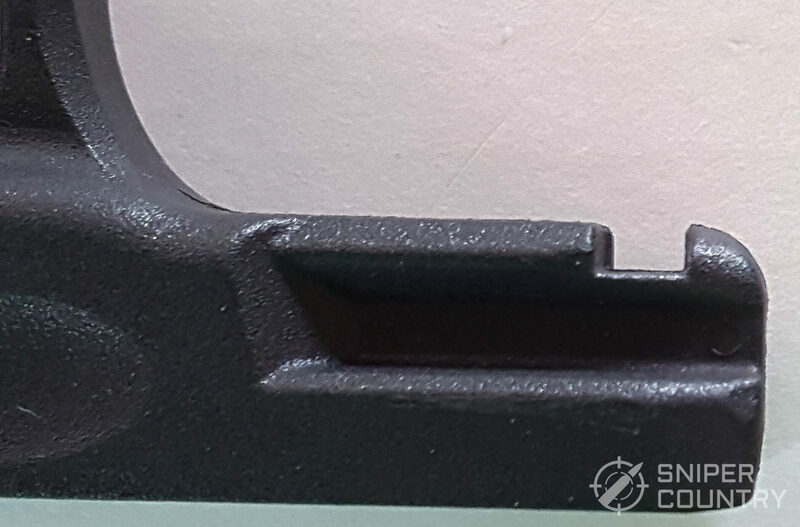 Two main differences between the PT-111 Pro and the G2C are the stippled grip of the G2C and the lack of the Taurus key-lock security system. This alone caused many to buy this gun over the older one. The security system was, to put it politely, not well liked. So, Taurus omitted it from the G2C. With four other safeties, maybe they figured they didn’t need it. It did perform a different function, however…its purpose was to make sure the gun couldn’t fire if it was locked. I’ve known of a few folks who don’t have a gun safe who would keep their Taurus (or Smith and Wesson revolver, for that matter) semi-auto locked to keep it safe. Anyway, the new one doesn’t have it and I’m glad. Let’s talk, right up front, about what I like and don’t like about my G2C. Obviously I like it enough to keep it – I carry it regularly – but there are a few things I’d change if I could. Size and Capacity. It is roughly the size of a Glock 27 but holds two more rounds. Grip Texture. I truly love the new stippling treatment that the grip frame received. I am one to stipple grips – I like a very rough surface that buries itself in your hand while shooting. I might even get my soldering iron out and put my stippling job on top of the one Taurus did. Tactile Loaded Chamber Indicator (LCI). Some don’t like these, but I do. There’s one on my Springfield XDM, a chamber flag just like on the G2C. I can run my finger over the barrel hood to see if the chamber is loaded, something I have done on more than one occasion, without having to look down at the gun. I like this system better than the “peek-holes” that some guns utilize. Double-Strike Capability. 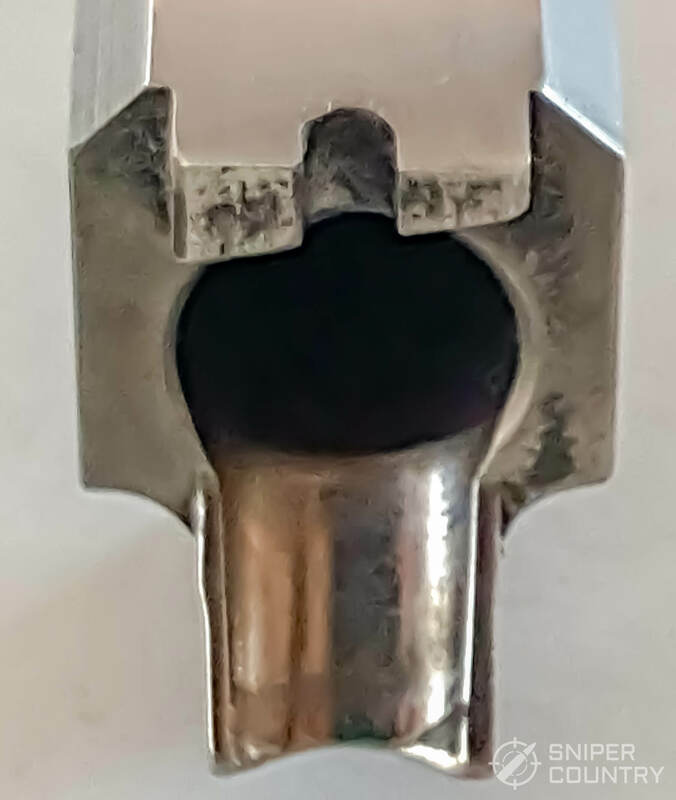 Even though it’s a single-action pistol, it uses an extra double-strike sear so that if the primer doesn’t go off the first time, you can have another crack at it before having to go to “tap-rack-bang”. I’ve used this feature a lot, mostly on some of my reloads where I may not get the primer fully seated. They usually always go off on the second pull. A side note: this is why you don’t carry reloads as your self-defense ammo. I usually carry Remington Golden Sabers or Hornady Critical Defense rounds. (For a look at some of the best 9mm self-defense ammo, look here). Adjustable Rear Sight. OK, so it’s not the most sturdy sight out there but at least you can adjust it for windage and elevation for different loads. 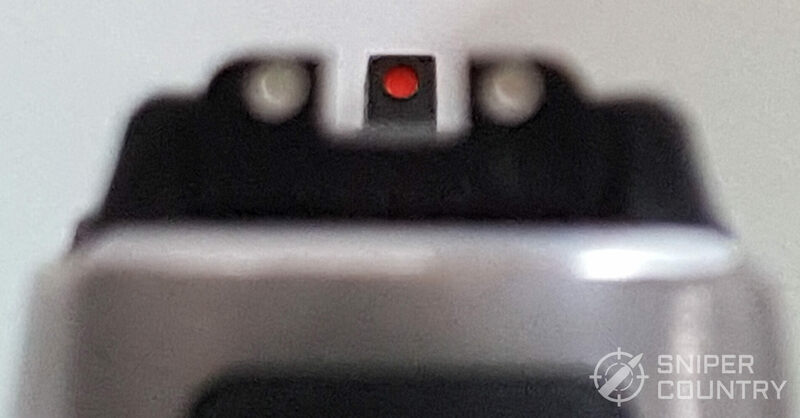 I’ve had these same sights on other Taurus guns I’ve owned and they’ve never failed me. Polished Feed Ramp. The feed ramp is polished, maybe not to Springfield Armory standards, but it sure looks better than feed ramps I’ve had on older Taurus pistols. I’ve had no feed issues with factory ammo, although I have had to adjust some of my reloads for reliable functioning. (This photo really doesn’t show just how shiny the ramp is. It really is better than the older ones. I will polish it some more when I get time – I just got the gun not long ago). Rail Slot. 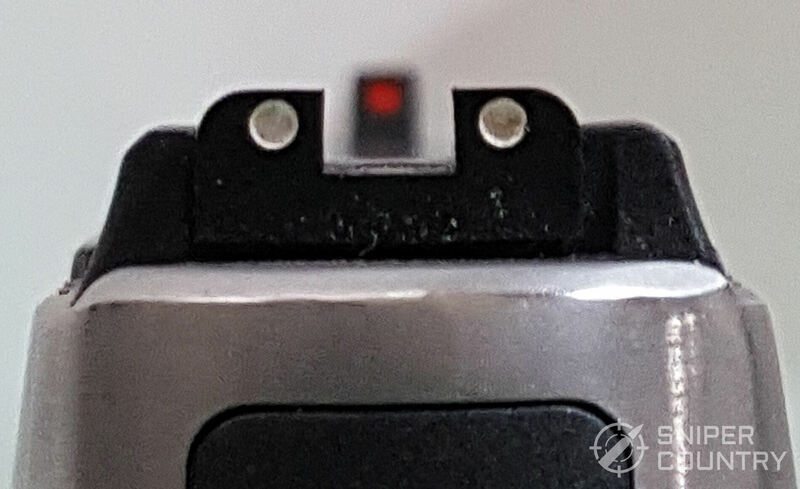 The gun has a Picatinny rail slot, so you can mount your lights or lasers. 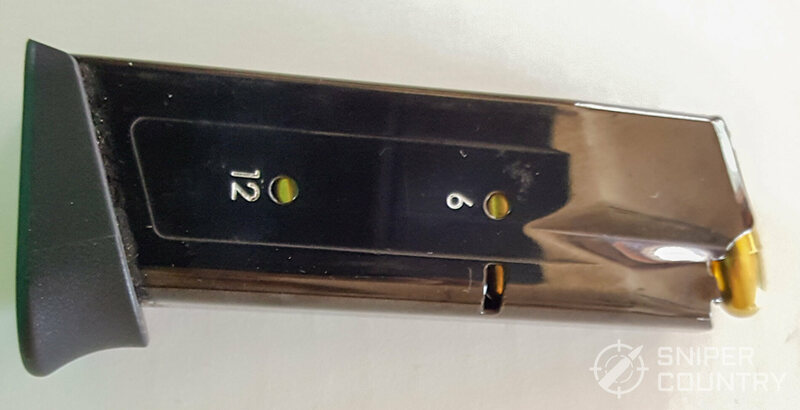 12-Round Magazine. It comes with two, with witness holes. They have both proven to be reliable. Recoil Spring & Guide. The captured recoil spring is mounted on a polymer guide rod. There have been several cases of the spring slipping over the end of the rod, tying the gun up. Lakeline LLC sells a lot of replacement stainless steel guide rods and springs because of this. Taurus could fix this by making the rod out of metal, not plastic. I’d pay whatever extra the gun would cost to get this changed. Trigger. The trigger could be improved. There is a definite “catch” after you cycle the slide and pull the trigger, as the trigger blade safety moves out of the way. When I first got mine, it was so pronounced that I thought something was wrong as it didn’t fire when it “clicked”. Found out later that the click was related to the trigger blade safety. It seems that the trigger and safety blade’s “trigger-nometry” could be better. This causes the safety to hang up unless you pull the trigger straight back. 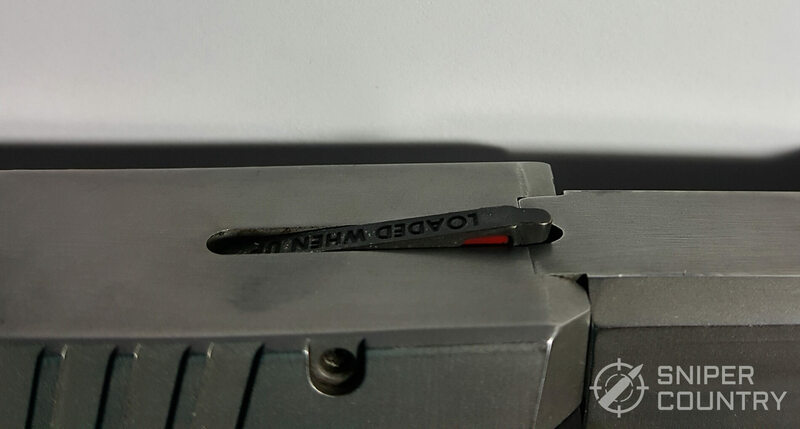 Some home remedies I’ve read about or seen on YouTube include filing a bit off the hook at the end of the blade or even putting heat shrink tubing over the trigger and the blade and making them “one” by shrinking the tubing over both. I can’t imagine these fixes are smiled upon in Miami…I don’t know about voiding warranties, but why push it? Mine is coming along fine…just pull the trigger correctly and you shouldn’t have a problem. It is working itself out as I put more rounds downrange. Rear Sight. OK, I know I mentioned the adjustable rear sight above. 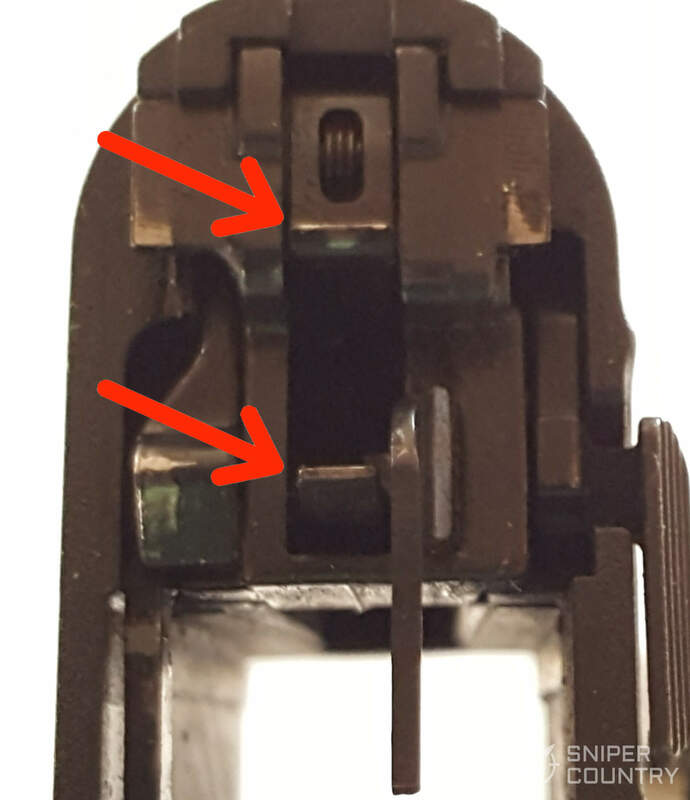 But, some people worry that this particular adjustable sight on a carry gun, can be fragile so they replace the factory sight with a fixed or drift-adjustable rear. Night sights are available, again from Lakeline LLC. A fiber optic front is another option. Actually, there are many aftermarket sight solutions for this gun. I singled the P365 out for special treatment because it seems to be the “wonderchild” of subcompact 9s right now. Speaking of comparisons, I’ll put the G2C’s specs next to those of several other popular carry 9mms. Hopefully this may help if you’re trying to decide between two or more guns. (For a more complete breakdown of some of the best 9mm pistols overall, look here. Check this out for some great single-stack subcompact 9mm pistols). What I didn’t show in the chart are prices. They vary so much, depending on where and how you buy I thought it wise to not try to track down real-world prices. I listed the MSRP above for the P365 and the G2C but that was only for comparison. I believe the closest in real-world pricing to the Taurus would be the Ruger – I own one of those as well. It is a true pocket pistol, and is an excellent buy. But…it’s a single stack with less capacity, no adjustable sights, no tactile LCI, etc. when compared to the G2C. I like them both but tend to carry the Taurus in its Concealment Express IWB holster. It is truly comfortable. OK…Which One Gives The G2C The Best Run For Its Money? I have often thought about what gun may be the main competitor of the G2C, as I stated above when comparing it to the P365. Let’s be blunt – if you can afford a P365, you probably won’t buy a G2C. But…for the money, I don’t think you can beat it. Its newest threat in terms of sales just might be the new kid on the block, the new Mossberg MC1sc. The full MSRP on this pistol is $425, with the real-world price considerably less. The feature set that the Mossberg boasts is pretty extensive…a custom-style flat trigger with safety blade, a slide rear plate that comes off easily to allow the Glock-style striker to be cleaned, forward serrations on the slide, enhanced ergonomics, a really smooth trigger pull of between 5-6 pounds, and clear flush-fit and extended magazines. Mossberg designed this gun after doing very extensive market research, so it tends to have a lot of features that meet the requirements of desired features on a concealed carry gun. This gun is going to be a good seller (once it’s past its teething pains, if it has any) I would imagine. But, again, its dimensions are not that much different than the G2C’s and you get the added capacity that two 12-round magazines give you over the 6 and 7 rounders that come with the Mossberg. Anyway, the comparisons are just to help if you need a quick reference. For more exact information, check the manufacturer’s web site. As long as a gun does what it’s supposed to, that’s what matters with me. And so far, the G2C has done what it is supposed to. If you do a quick video review survey, there seem to be more videos on YouTube praising the G2C than bashing it. A whole lot of video makers/shooters think that this gun is one of the best you could carry to protect yourself. I tend to agree. It has become my favorite carry gun. Here is a photo of my rather-large self with the gun in a Concealment Express IWB Kydex holster. With this holster, sometimes I forget there’s a gun there…it’s that comfortable. Under a light jacket or hoodie there is literally no printing. This gun hides very well, and the holster pulls the grip in towards the body. The finger extension magazines don’t cause the gun to print, at least in my experience. The gun is suitably accurate for its purpose. 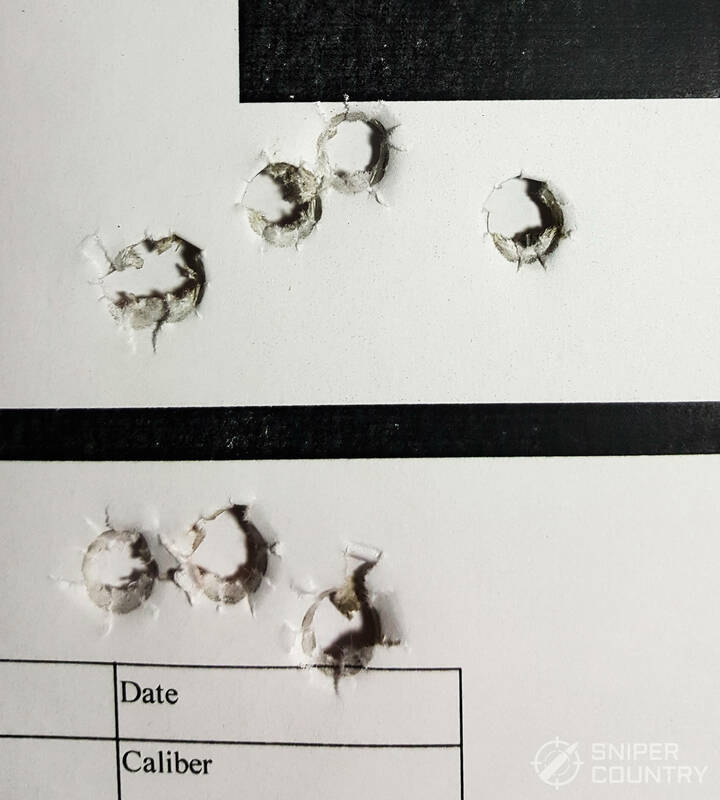 I tested it at 7 and 15 yards with factory FMJ practice ammo (Tula and Winchester White Box 115 grain) and my reloads consisting of a 124-grain cast round-nose bullet over 4 grains of Long Shot. 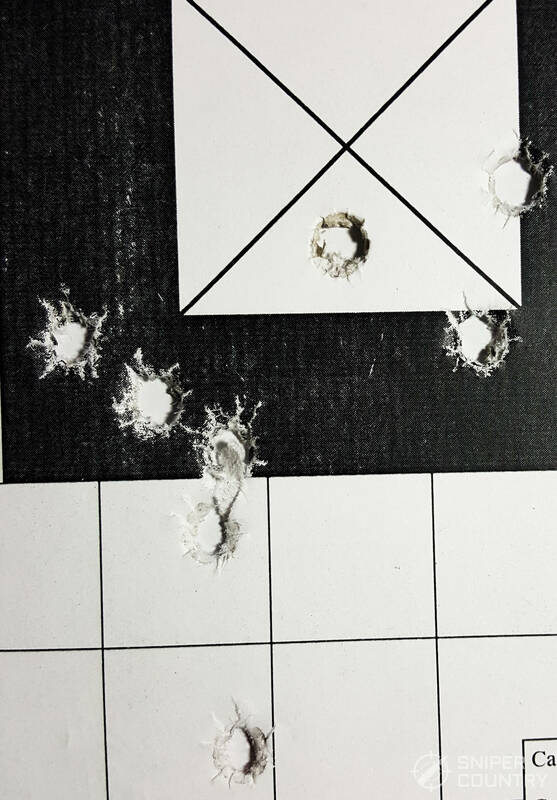 Accuracy was what you’d want in a self-defense gun…in terms of practical accuracy, I was able to put double-taps in the 4-inch center box of my homemade targets as fast as I could pull the trigger from 7 yards. That’s plenty accurate enough for me. Tula 115 grain FMJ – each square on the target is an inch. 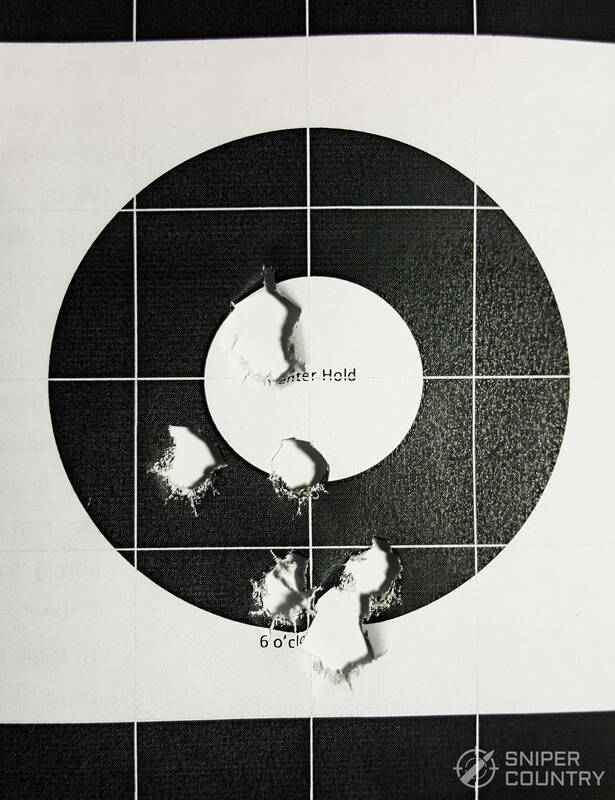 I did not test self-defense ammo – I have always had excellent results with any JHP load I’ve shot through any of the Taurus PT-111 G2 Milleniums or the G2C I’ve owned. As I said above, I carry either Remington Golden Sabers or Hornady Critical Defense for self-defense, but any of the ones listed in the article on that topic should work great. Please don’t think I don’t practice with JHPs, just because I didn’t include them in the tests…I’ve just found that they are, or were, 100% reliable in the three G2/PT-111 pistols I’ve owned over the years. Here’s one thing to look out for…a lot of the time, JHP self-defense loads tend to strike a little lower on the target, depending upon bullet weight and velocity. 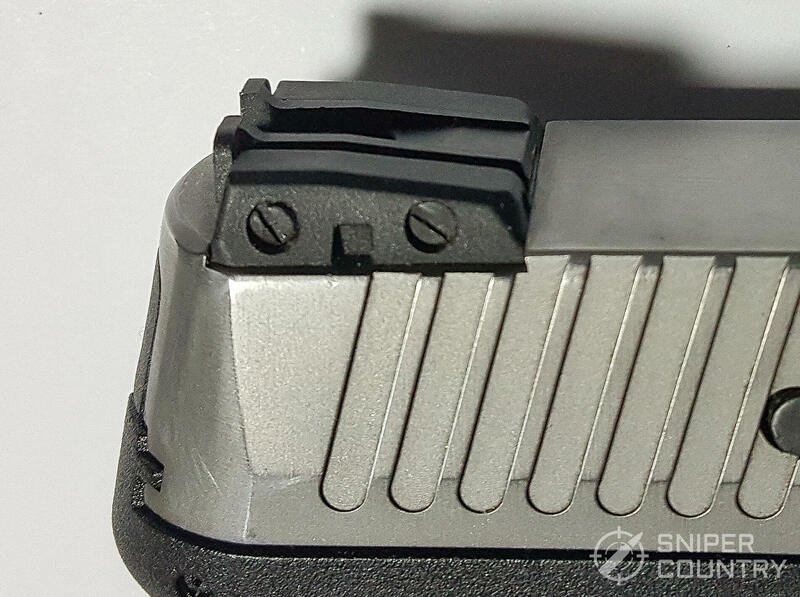 That’s where the adjustable rear sight comes in handy – you can adjust it for your carry load – then leave it there. Don’t go back and forth with it, adjusting it for your carry load and then for your practice ammo. Set it for your serious load and let it go. In case you missed the link above, I compared several 9mm self-defense rounds in an article on that topic – it’s worth looking at. Check it out here. OK…so we know that the gun is at least fairly accurate when shot two-handed, unaided by a rest, at seven and fifteen yards. Is that enough to warrant carrying it? Is it accurate enough? I’d say yes. 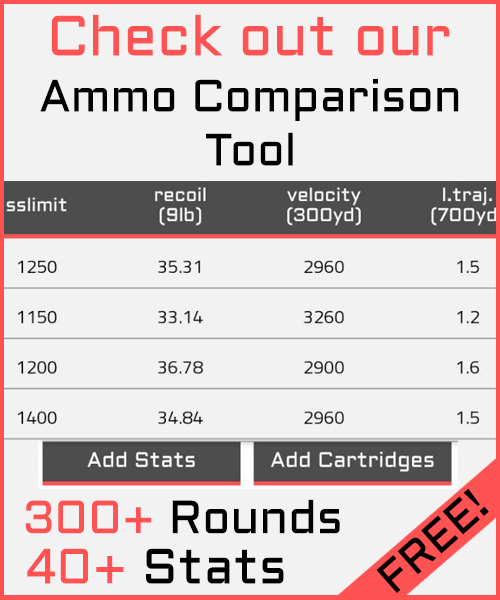 I’ve shot some pretty expensive guns that couldn’t do as well as this $249 thumper did with my so-so factory ammo and run-of-the-mill reloads. Would I carry it? Would I worry about either its accuracy or reliability? Nope. Since all I carry for serious work are top-quality self-defense rounds, I’ve never had a reliability issue with these guns, and practical accuracy has been all that it should be. I trust the platform, as do thousands of other concealed carry practitioners. To sum everything up, I trust my Taurus. Once past its wonky trigger “catch” (which has smoothed out and is almost totally gone, with a lot of shooting), I find I hit what I aim at with this gun, and do so with regularity. It does go ‘bang’ every time (with those few exceptions mentioned above that were directly related to my reloads) and I trust it. Do I trust the company? I guess I must, because I had bought a .380 Spectrum before I bought this G2C. The Taurus of old is slowly going away, being replaced by a company trying harder to have its finger on the pulse of the shooting public. It is also trying harder with quality control and customer service. This is a company that learns from its actions…they had modified their “no-questions-asked” lifetime repair policy to a one-year arrangement for guns made after a certain date. I then read recently (got an email from them, actually) that they are reinstating their lifetime warranty (albeit only to the original purchaser), probably after being bombarded with emails requesting the change back from one year to lifetime. The point is, they listened. Is this company perfect? Heck no. They still have a ways to go before gaining the respect of many shooters who had, once upon a time, bought a Taurus only to have to send it back to that black hole that was Customer Service. At least they’re trying harder now. The G2C will surely do the job it was designed for, if fed good-quality ammo and kept clean and lubed. Would I take a P365 if someone gave it to me? Sure – I’m not an idiot. But, not having connections with Sig Sauer or any other manufacturer, I would have to buy my own P365. I can buy two G2Cs and have exactly $101 left over for the price of one P365 at MSRP for both guns. I sure think you could do worse than carry one of these. 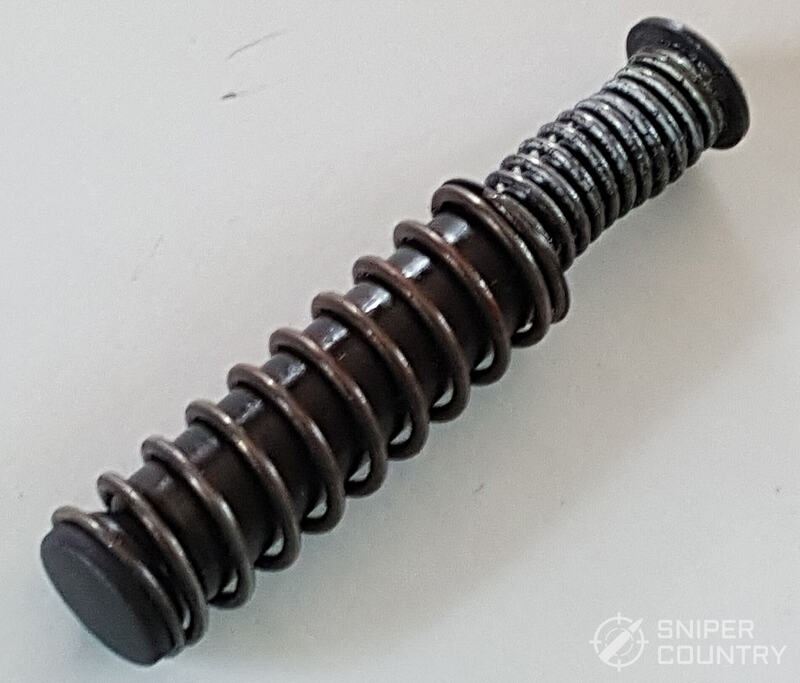 If you’re worried about the recoil spring guide, replace it for $28.95 with one from Lakeline LLC. Want night sights? $69.95. Want a different trigger? Galloway Precision sells a short stroke trigger for $24. With its Picatinny slot, you can add a laser sight. The point is that you can make this gun whatever you want it be for not a whole lot of money. Is it worth it? I think so. This is the third G2 I’ve owned, counting the two PT-11 G2s I bought…that’s one more than the two Smith and Wesson SD9VEs I owned, which says something. My gun budget is pretty tight, so I have to have guns that work as expected but don’t cost too much. The G2C does that admirably. Take a look at one next time you’re drooling over the guns at your favorite gun store-you might be pleasantly surprised. Let me know what you think, below. I have to agree. At least for the time being. I have yet to take delivery of my new G2C. It was perfect budget wise and after all the positive and some negative reviews on YouTube, it gave me a good perspective and so I went and bought one. Nice article and I appreciate your thoroughness. After some time with this wonder 9, I will probably pick up the TX 22. It reminds me of my Steyr M9A1 at least in aesthetics. Francis, I don’t think you can go wrong with the G2C. I did forget to mention that if you are looking for a single-stack version, there’s the G2S – not sure if that matters to you. The TX 22 looks really interesting, as well. Thanks for the comments! I own a Taurus G2C and I carry it every day, it is accurate and very easy to conceal. I have other weapons but I rather carry my Taurus. Nick, that seems to be the general opinion of G2C owners. I know of a few who prefer to carry their G2C over their Glock 26. That does say something! Thanks for your comment. Jeremy, great! Thanks for the compliment. I do try to be accurate. Great article written from a down to earth, real people perspective. Russell, thanks for your compliment. I do try to be real-world when I write up a gun. 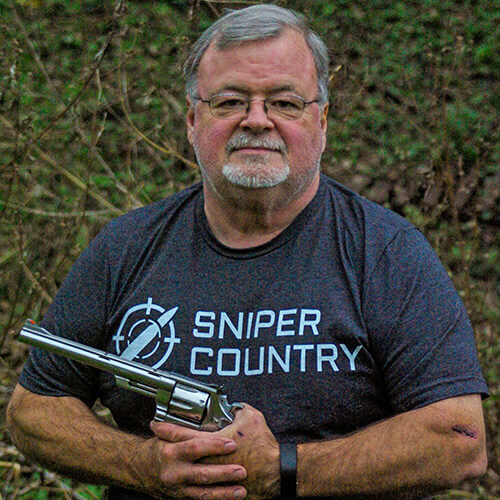 I’m just a country guy with a backyard range who loves handguns and likes to shoot them, then write about them. As for the Kimber, I probably should have included it in order to add a 1911-style design to the mix. Maybe I can write about it in a future article. 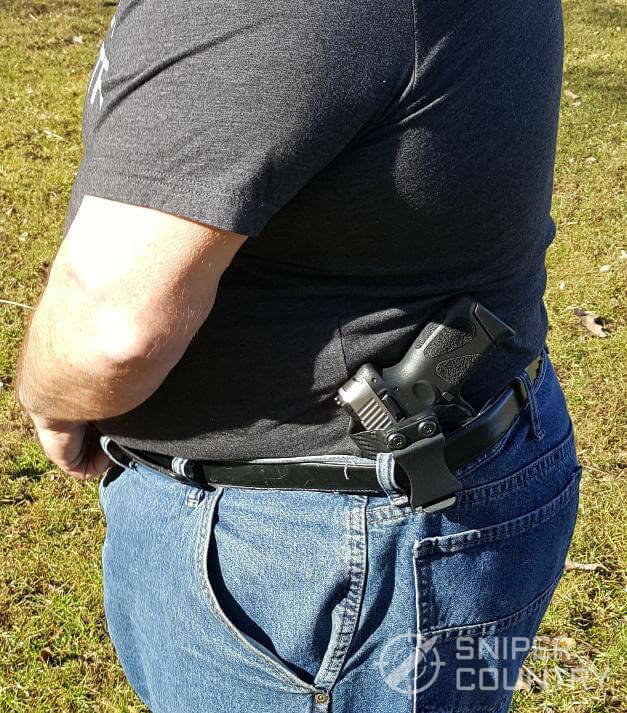 The Kimber is a wonderful carry gun – if you have one, you are well-armed! Thanks again. I am left with questions regarding the temperament to dirt, sand, and water. Knowing the inexpensive cost and layout of the G2C leaves me with concerns of reliability in a situation where it would be critical. I have always been a fan of Taurus revolvers and curious how far in advancement consideration this real-world scenario potential Taurus has to considered. August, I don’t know about the G2C’s reliability after being dunked in mud…I would imagine it would be as reliable as most any other similar gun after getting wet, dirty, etc. due to its manufacturing tolerances. I’m not sure if any You Tube videos exist about this situation but it might be worth a search. Thanks for the comment! Very interesting gun. Great review as always. Don’t tell anybody but I love my trusty little Taurus M85UL. Spidero, The M85 ultralight is a great gun. It’s good to know that folks are still carrying wheelguns! Thanks for the comment!